2018 was a busy year for us! 1. We launched Digital Manufacturing Week at the House of Lords as proud sponsors of the Annual Manufacturer’s Report. 2. We proved that “Life’s a Beach” with Microsoft Dynamics 365 and Columbus at the annual ERP Head to Event conference where we proudly won the award for best demonstrations. 3. We investigated the future of the manufacturing industry with the release of Manufacturing 2020; a thought leadership report dedicated to helping organisations proactively align their future digital strategies - with articles from Microsoft, Aston Business School, BMW and more. 5. We set GOALS with our customers at a World Cup themed customer event at St. George’s Park. Not only did we live-stream the England-Tunisia game, we also celebrated our customers’ success with an awards ceremony and conducted a digitialisation workshop to help with the creation of strong digital strategies. 6. As strong advocates of STEM, we set out to inspire local schools and ran a competition where we asked local Nottinghamshire schoolchildren to design t-shirts reflecting the importance of STEM. The two winning designs (from Holywell School and Holy Cross) were showcased at Microsoft Inspire in Vegas, Microsoft’s biggest partner conference, where we advocated the importance of STEM to plug the skills and diversity gap in the tech industry. 7. Our fearless leader, Mary Hunter, won the IAMCP (International Association of Microsoft Channel Partners) Women in Technology Leadership Award at Microsoft and the Nottinghamshire Business Women of the Year in recognition of her business leadership, and her work supporting Women in Tech and STEM in schools. 8. We announced a new Connected Field Service solution offering that utilises the full Dynamics 365 platform, leveraging IoT sensor reporting, predictive maintenance and advanced business intelligence to enable customers to make real-time, data-driven decisions on operations. 9. We took Interflora live on Microsoft Dynamics 365 and our integrated e-Commerce solution, allowing them to double their web orders. 10. We showcased an integrated Microsoft Dynamics 365 Hololens demo at Future Decoded, Microsoft’s biggest UK tech exhibition in the Excel, London. 11. We bolstered our Commerce solution to encompass the full customer journey, from partnering with inRiver to provide a best-in-class Product Information Management (PIM) solution, to launching a fully integrated eCommerce solution. 12. We raised over £15,000 for charity through a series of employee led activities, including the Coast to Coast bike ride, the Robin Hood half marathon, the Race for Life, and our annual charity ball. Over £10,000 went to this year’s charity of choice, the NHS, with the rest going to specific employee selected charities near and dear to their hearts. Kate Parry, our PMO and ISMS manager,is grateful for the opportunities she’s been given this year to grow as an individual, to have a challenging career leading our ISO27001 certification and work with forward thinking, go-getting, supportive colleagues and management team. “This year I’m grateful for the awesome team I’m a part of. Both old and new, technical or functional, everyone’s taken on tough challenges and got stuck in” says Craig Hamer, CRM Solution Architect. 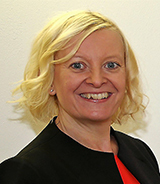 Andrea Ward, our HR Director is grateful for having passionate and supportive colleagues and leadership team at Columbus, all of whom help to make every day a ‘great day’ and for my fantastic team’s loyalty and commitment to achieving our common goals. “I love the opportunities I have received this year (in terms of projects I have been involved in) and the lovely customers I have met (like JustEat, Jisc, and Charterhouse Holdings). It has broadened my business knowledge, whilst gaining experience in the Columbus way of delivering a project,” says Raquel Myers, Business Consultant. Columbus wishes you a very happy holiday and a prosperous 2019. The consumer culture has long outpaced the business world when it comes to evolving technology. We have hopped into an Uber, waited in line for the iPhoneX and indulged in affordable VR headsets as an easy wow-worthy Christmas present.